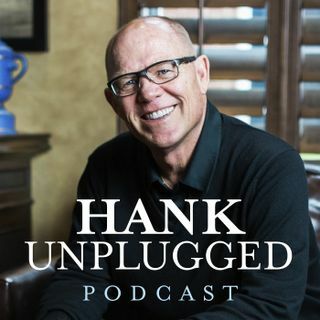 This week, Hank is joined on Hank Unplugged by Middle East expert Raymond Ibrahim to discuss the stark reality of Islamic issues faced by the world today in context with historical analysis, not the least of them being the Muslim genocide and persecution of Christians. Topics discussed include: the West actively undermining itself and the reality of Islam (6:00); the aberration of labeling Islam as one of the Abrahamic faiths (10:00); the difference between Mohammed and Christ (13:30); is ... See More the Allah of Islam the God of the Bible? (19:30); Muslim mob mentality and the convenience of conversion in many Islamic theocracies (27:00); setting the historical record straight on the difference between jihad and the crusades (30:30); exposing the myth of the Andalusian Paradise (37:00); the reality that radical Islam is run-of-the-mill Islam (42:00); hypocrisy in the United States in dealing with Saudi Arabia and ISIS (53:00); the danger of lumping all Muslims together with the ideology of Islam (59:00); the mass genocide and persecution of Christians in the world today done in the name of Islam (1:07:00); Islamic tyranny toward women (1:17:00); the oxymoronic nature of the term “secular Muslim” (1:20:00); the decline of a Western civilization devoid of Christ (1:26:00); and the danger of taking a controversial stand for truth (1:28:00).